Do you have a great idea you think might be a money maker, but you’re not sure where to turn to find out if your hunch is a good one? 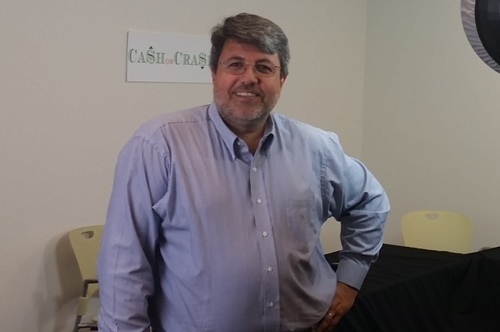 Entrepreneur Dr. Renato Cataldo has already founded one video-based company in St. Louis. His CrazyForEducation.com start-up collects instructional videos from teachers and distributes them to students and parents for a fee, with the teachers who create the videos sharing in the revenue. Here’s how it will work: the person behind the idea will fill out an online form at CashOrCrash.com, and, if selected to continue on to the next phase, will take part in a pre-interview with Cataldo. “We’re looking for people who are still at the idea stage. We’re not interested in people who have already started their business, or are farther down the road,” he says. Each person selected to move on to the next phase will take part in a 15-to-20 minute video session, recorded in a studio setting with a live audience. Recording will take place at The Helix Center, the St. Louis Economic Partnership’s business incubator in Creve Coeur, with the first recording session scheduled for the evening of October 28. Each program will be presented on the Internet within a few days of recording. Cataldo and his co-host, Judy Sindecuse, CEO and managing partner at St. Louis tech accelerator Capital Innovators, will ask the questions. Questions such as, “do you have a background in what you’re proposing? What’s your strategy to get there? Our role is to chime in and say, ‘these are some of the things we think you have to do. If you do them maybe you have a chance. If not, you may crash,’” says Cataldo. Cataldo says interviews will focus on the foundational elements of a business start-up: the idea, strategy, people, and cash. “Our goal is to make the interviews informative, fun, and sometimes controversial,” he says. Those interested in being in the audience, or on the show, can sign up for either option at www.CashOrCrash.com.